And now that we know what's in store for us, it's best to be prepared. And I don't know about you but if there's one thing I can't tolerate about these storms is power failure. How you say....boring? Saving grace is truly my gadgets...phone and iPad specifically for games and iBooks. Aside from entertainment there's also emergencies or calling loved ones to make sure they're safe. But how can you do all these if there's no power available to charge your phones? 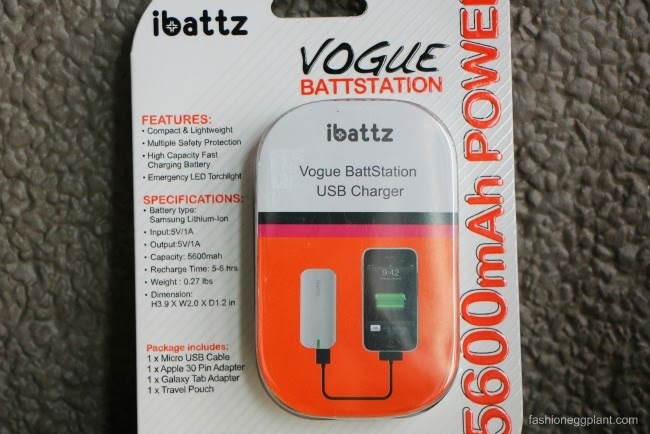 That's when you need a portable charger and this one by iBattz is probably the best in the market, price-wise and performance-wise. Retailing for only P2150, it is significantly more affordable than others in its class. equipped with a SUPER DEPENDABLE and high quality Samsung Lithium Ion Battery...so you know it's not gonna die on you when you need it the most. So yea, storm or no storm, the iBattz is one great investment...and ps. it's also equipped with a flashlight and power level indicator. These are just some of the reasons why iBattz has been voted by millions as their number one choice for portable chargers. Punk Style Women's Shoulder Bag With Rivets and Metallic Chain Design in black. in fact i think i am going to buy them now! Thank you very much for this wonderful giveaway ! It was really hard to chose from, so many things I love on Sammy everytime I stumble there!